The Ducks kept the puck in their own end for the first 1:15 of overtime, before scoring on the first shot they took, a Hampus Lindholm winner at 1:21. Every time they’d start to bring it out, if an Oilers skater got anywhere near it, they’d cycle it back and start all over again. It was horrifically ugly, but it was also pretty smart hockey, and not just because it worked here. The strategy was twofold. First, on a wide-open ice with 3-on-3 (which is in its third NHL season), it’s generally a good rule to protect the puck and not risk a counterattack. 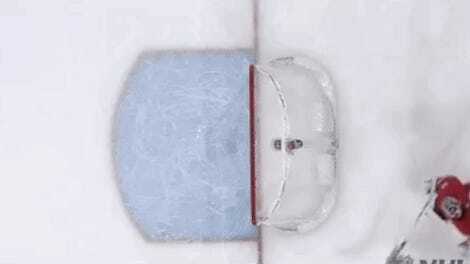 “They had no interest in moving the puck up the ice until they saw an opening,” said a frustrated Cam Talbot. 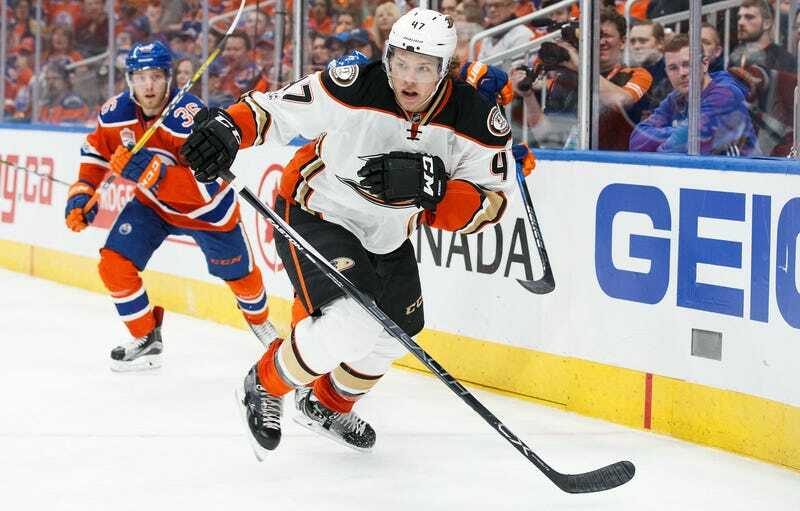 Second, and more specific to this situation, the Ducks wanted to keep the puck out of the hands of those particular Oilers skaters: Connor McDavid, Leon Draisaitl, and Darnell Nurse. McDavid and Draisaitl are two of the best scorers in the league, but the Ducks’ lines are deeper. So why not sit back until the on-ice matchup tilts in their favor? The Ducks’ tactics here remind me of nothing so much as the Flyers’ attempt to counteract the Lightning’s 1-3-1 defensive scheme, in a 2011 meeting that was called “the worst hockey game ever.” The Lightning’s particular neutral-zone trap featured no forechecking, so the Flyers were content to spend long stretches of the game sitting in their own end, doing nothing. Let’s walk down memory lane! That awful game was a hot topic at the next GM Meetings, but nothing was done about it—nor could anything be done without a major major rule change (like a shot clock). Thankfully, other teams didn’t take a page from the Flyers, just as it’s unlikely that many other teams will follow the Ducks’ lead. But maybe more should? Especially when facing a team as top-heavy as Edmonton.